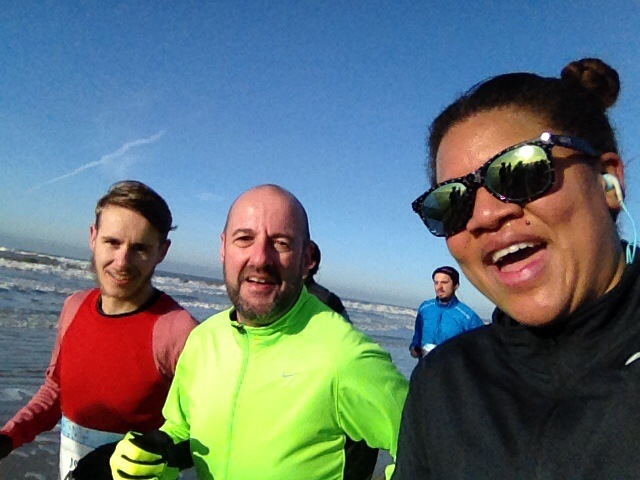 Earlier this month I traveled to Holland to visit family and run my first half marathon of 2014. 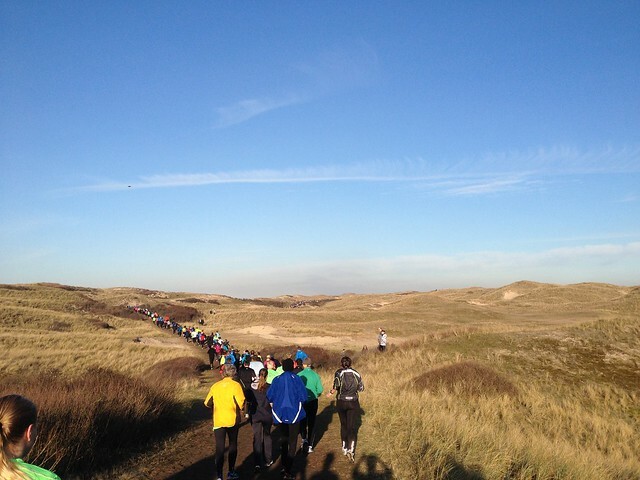 My boyfriend and I signed up to the Egmond Half Marathon without really knowing anything about the race apart that it was on the beach. Sounded fancy. I ran on the beach before whilst in Mexico last year. I had to give up after 5km. It was 30 degrees at 7 am and the sand was too soft. 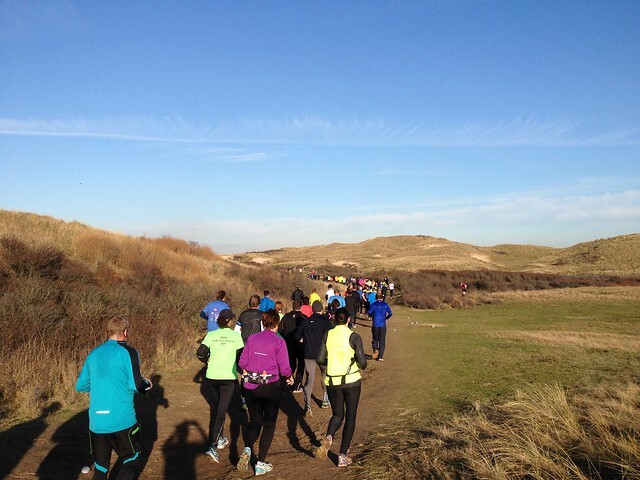 1 week before the race day we find out that Egmond Half marathon is known as the hardest in Holland... Great! With only 1 week of training I wasn't planning on a PB with this in mind. It was a beautiful day - cold but sunny. So glad it wasn't windy and rainy. It would have been a nightmare. I was quite relaxed, music and sunglasses on... The race starts. 2km kilometers through the town to begin with... I'm ok. 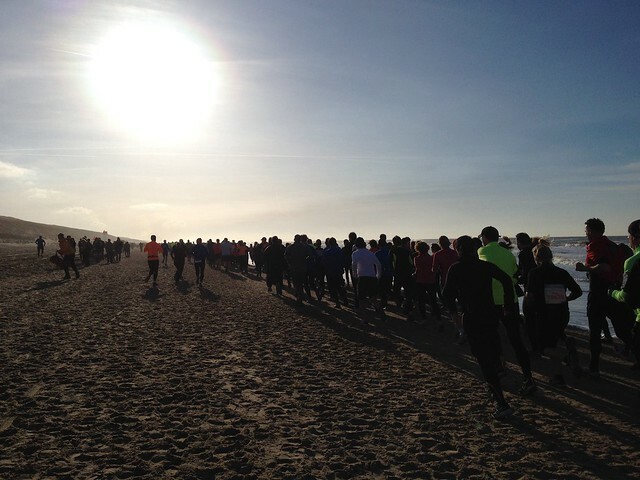 The next 8km, I'm still fine, we're all on the beach, running in a straight line along the sea. We had the sea on our right hand side and as soon as the waves were a bit too strong on the beach everyone had to shift to the left to avoid getting their wet feet. It was a bit disturbing at times, but hey, we can't fight mother nature. The landscape was beautiful but, I was wondering how long the beach was most of the time. Felt like it was endless. 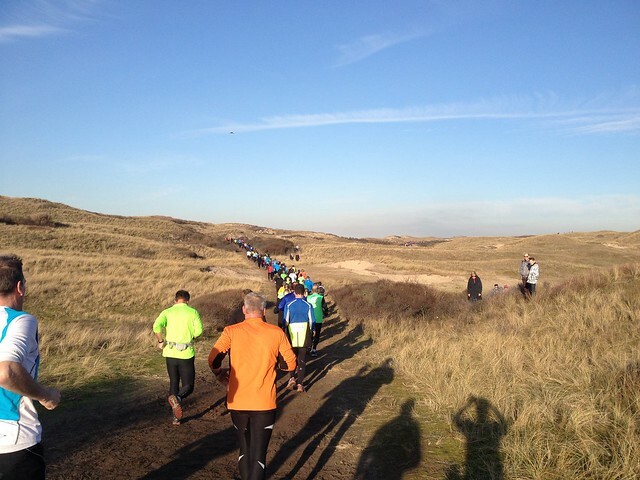 The last 11km were in the dunes. Again, it was stunning I was so mesmerised by the landscape that I gave myself an excuse to stop and take pictures ( I had to!!!! it was too nice). You know the shape of a dune right? It goes up then down and up and down again... The going up part gave me the usual mini heart attack due to lack of hill training. Damn it was hard. So hard that I started to spud myself to encourage me not to stop. I speak to myself a lot... "Laura don't stop, you can walk at the next water point not before, no you won't". Did I walk? Yes I did. Around kilometer 17 my legs really wanted to stop (yes I was tired) but in my head I wanted to carry on... It was a real battle between my body and my mind to the point that I started to cry at kilometer 19 and I didn't understand why. I reckon I was in lala Land. I was sobbing until the finish line. Oh dear finish line, why do I always get so confused about where you are! Yes people I started to sprint like I was on a track at 600m because I saw 100m to the finish (this was for the 10km race that took place before the half marathon). When I realised, I got a little angry because I gave everything and then had to slow down. Finally at 200m (still sobbing lol) I manage to find some inner strengths and sprint again even faster to the finish line... I'm done! I would like to thank Mariah Carey, Justin Timberlake, Josey Rebelle, Jay Z, Beyonce, Montell Jordan, Anouk, Radi Dadi and all the other artists that help me to keep going on race day. Never without my music and my Yurbuds headphones. The only earphones that don't drop or hurt. On to the next one... BERLIN BABY followed by London Marathon!